Our Mixed Reality deployment is designed for special engagements, exhibitions or events. Contact us to learn more. The Methuselah bristlecone pine is one of the oldest living organism on earth and its exact location is kept a secret by the US Forest Service to protect it. In this Mixed Reality experience, you are part of a research organization tasked to locate the Methuselah tree with the help of your team mates. The mission is to find and retrieve a sample from the tree so researchers can unlock its secret to its long-living resiliency. The team will collaborate and solve a series of puzzles and activities to reach the objective. Along the way, they will learn more about this wondrous work of nature. Immerse and learn about the Methuselah tree. Discover through collaborative and social interaction. Experience deep engagement through Mixed Reality. Scene 1: The holographic assistant AI bot renders and provides an introduction and mission objectives. Users will also be onboarded to familiarize them with the gestures. This includes an air tapping step to fingerprint their mission role ID and launch the mission. Scene 2: The team will explore a table top hologram of the research station to find factual clues about the tree to narrow down the tree’s location. They have to collaborate and share the clues they find to make a team decision. Scene 3: The AI bot is damaged en-route. The team now needs to unscramble holographic puzzles pertaining to the tree to restore the bot’s database and triangulate on the tree in the holographic terrain map. Scene 4: The bot is now ready to extract the sample. The team now needs to work together to program the right sequence to ensure the bot hits the right spots and avoid the bugs that are invading the tree. Scene 5: The mission is complete and a recap of what is learnt about the tree is replayed. A group photo is taken with the holographic tree. The group will be provided with an introduction and saety briefing. They will be led to their seats and helped with putting on the HoloLens and presented with a quick description of the experience and basic HoloLens gesture guide. The space lighting will be dimmed to the set level and the Mixed Reality experience begins. At the end of the session, users have the option to provide an email address to receive a complimentary photo. Alternatively, short term deployment of our rig onsite provides greater flexibility. In this case, your stff will be trained on how to conduct the MR experience at their convenience. 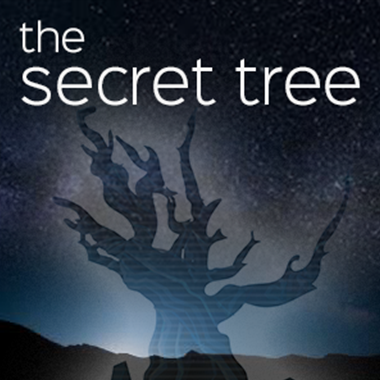 The Secret Tree is designed to be experienced in an enclosed thematic setting. Noise control to minimize background noise and lighting managment (dimming controls). A 42″ round table with 4 seats will be required for each group with about 48″ of unencumbered space around the table for safe movement. Controlled access to the the MR space. Power outlets and a desk will be required for the facilitator’s station. Preferably located in an area outside the view of the MR space. Sufficient space to conduct pre experience and safety briefing.